To find an ideal position in business strategies to use Search Engine Marketing is more essential. It helps clients to shoot up their business through innovative and efficient methods. Crossing the border of the county, the business world has been globalized with the help of the Internet. In a world business scenario new challenges are inevitable and properly utilizing these challenges can be converted into a successful venture. We are the leading SEM Services based in India also we have developed our business in India who are serving a majority of clients with proven methods across the world. With our time-tested methods, we will help you to stay one step ahead in your business venture in relation to your competitors. We commit to bring success in our clients’ business by fully utilizing skillful methods. Provided with transparent transaction procedure, good accountability, and affordable price, we serve our valuable clients better than anybody else. Search engine optimization company in India should be capable of providing a better user experience to your website when hiring them for your SEO. The appropriate SEO Agency will probably come up with put your trust in among your actual customers when they provide you with a better person or company experience, that has the capability to lead the way to attain targeted more leads/conversions for your personal business. Samaritan InfoTech is such a company do all these and help our clients to rank your website them on the first page of Google when end users search for business enterprise connected keywords and phrases. Paid advertising is any kind of advertising that you have to pay for, versus owned or earned advertising.With paid advertising, marketers pay the owner of ad space in exchange for use of that space. The price paid for the ad space is often settled through a bidding process between marketers and the ad space owner for Image/text. PPC stands for pay-per-click, a model of internet marketing in which advertisers pay a fee each time one of their ads is clicked. Essentially, it’s a way of buying visits to your site, rather than attempting to “earn” those visits organically,It allows advertisers to bid for ad placement in a search engine's sponsored links. 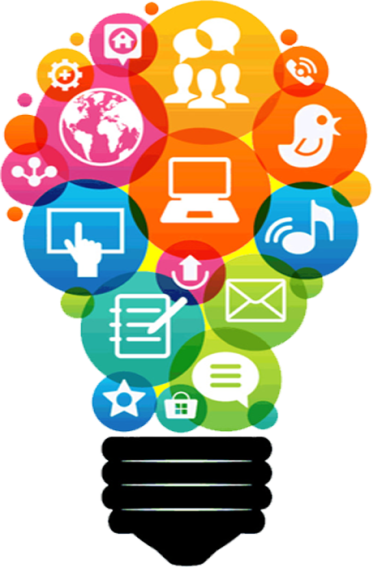 Social media is the collective of online communications channels dedicated to community-based input, interaction, content-sharing and collaboration using Facebook, Twitter, Google Plus,Wikipedia, LinkedIn, Reddit, Pinterest, Reddit, Tumblr, Quora, Instagram, Musicaly, QQ, WeChat etc. Email has become one of the most popular forms of communication. In 2010, there were an estimated 90 trillion emails sent out worldwide. That breaks down to 2.8 million emails sent every second. These numbers are gigantic, but not surprising when you consider how important the mail. Reputation management (sometimes referred to as rep management, online reputation management or ORM) is the practice of attempting to shape public perception of a person or organization by influencing online information about that entity, might also join conversations about a company. Samaritan InfoTech, Search engine optimization is a continuous process. This means it is a long term internet marketing technique. You can therefore make up on what you have at each step of the SEO process. Keyword research is a practice search engine optimization (SEO) professionals use to find and research actual search terms that people enter into search engines. Search engine optimization professional’s research keywords, which they use to achieve better rankings in search engines. We believe that off-page optimization is just as critical as on-page optimization for SEO. Our team will help you ensure that your off-page optimization is effective through link building. We don’t go for volume when it comes to link building but quality, normal building of your links to websites. Search engines today love fresh content. Websites that can provide fresh content on a regular basis always receive higher ranking. Our content developers will provide you with fresh and engaging content.You can’t know where to improve if you aren’t monitoring your website. We provide reports. Traffic on search engines is the best traffic. Why? Because people are actually searching for the problem you solve. You can “pull” traffic to your business. You do not have to “push” out advertisements to persuade people to buy. SEO is a long-term strategy. It can take 6-12 months to see optimal rankings. However, just as it takes time to move up the rankings, it takes time to move down the rankings. Once you are placed in top positions, you rarely move down. Conversions aside, SEO will also build your brand equity. In other words, SEO will help people become aware of your brand. Awareness is important because your website visitors may not always be ready to purchase.